Masamune and Aki have started dating. What appeared to be going so well begins to fray as Masamune, Aki, and Yoshino realize their true feelings. Masamune finds himself drawn to Yoshino, and Yoshino notices how he’s been acting differently toward her. When Aki picks up on this too, she makes a decision. The love-triangle revenge-comedy’s grand finale! Takeoka Hazuki is a Japanese author best known for Masamunekun's Revenge. 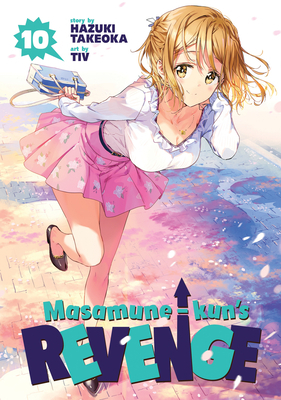 Tiv is a Japanese artist best known for Masamune-kun's Revenge.